If you have a Google e-mail account, use Google search, and see online ads that are served by Google’s DoubleClick, the chances are good that Google knows more about you than you might want to share with your significant other. To get a handle on just how big Google is, at left is an image of an interactive mind map (or diagram) of Google’s empire created by PCWorld. 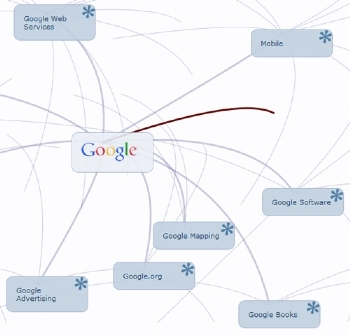 (Click here to interact with Google mind map.) This interactive map allows you to explore over 100 of the company’s products, services, and investments. It’s a real eye-opener once you consider Google’s push into so many aspects of our lives. Google: What’s Not to Love? One reason we give Google a pass on privacy issues: It is a likeable brand. It offers dozens of free consumer services we enjoy: from Google Earth, Picasa photo editing software and image hosting, to Google Docs. The quid pro quo we agree to is giving Google bits of our personal information so that the Internet giant can more effectively follow us around the Web and target ads to us. But the bigger Google gets and the more we rely on it, the more our tolerance for Google’s digital omnipresence becomes challenged. Over the past months we’ve glimpsed the ugly side of our bargain with Google. A number of privacy-related lawsuits, formal complaints to the Federal Trade Commission from advocacy groups, and rumors of Department of Justice antitrust scrutiny–all may suggest that our enthusiasm for Google is cooling. In May Google admitted that its Street View cars were collecting sensitive personal information from unencrypted wireless networks along with harvesting photos of the world’s roadways. A privacy uproar erupted in Germany, where the inadvertent snooping was discovered, and the outrage made its way to this country, where Washington’s Neil Mertz and Oregon’s Vicki Van Valin have filed a class-action lawsuit against Google, accusing it of violating federal privacy and data acquisition laws. The lawsuit alleges that Google collected parts of documents, e-mail messages, video, audio, and VoIP information being sent over networks scanned by Google’s Street View cars. The plaintiffs are seeking up to $10,000 for each time that Google collected data from unprotected hotspots, according to court documents. Google acknowledged the privacy snafu, and said it hadn’t known it was collecting the extra data until recently and would delete it. Meanwhile, Google faces a criminal investigation in Germany over the matter; and here in the United States the Federal Trade Commission was asked by privacy groups such as EPIC (the Electronic Privacy Information Center) to investigate Google’s stateside data collection. Google is in a familiar privacy pickle here. Just last February privacy advocates blasted Google when it launched its Google Buzz social network for exposing Gmail contacts when users opted into the service. Google cofounder Sergey Brin acknowledged mistakes were made when the Google Buzz social network was launched. “We screwed up, and I’m not making excuses about it,” he said at the company’s developers conference in May. Before that, Google apologized when it was discovered that Google could see what you type in the Chrome browser’s Omnibox address/search bar and record it, along with your IP address, before you even hit the Enter key. The list of high-profile Google privacy flubs is extensive, going back even before 2004 and a privacy uproar over Desktop Search. 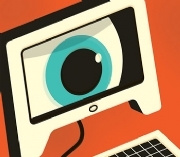 Google’s missteps are a growing concern among privacy experts. In April ten privacy commissioners from countries including Germany, Canada, and the United Kingdom sent a complaint letter to Google expressing concern regarding the company’s privacy practices. They stated that Google “willfully” disregards privacy laws in many countries when rolling out new products (specifically Google Buzz). While part of Google’s corporate philosophy is “do no evil,” practicing what it preaches becomes increasingly hard as the Internet behemoth balloons in size and ambition, says Jeff Finkelstein, an independent privacy consultant. He says as more people migrate to Google’s services (such as Google Voice, Google Health, and mobile services), the more they are fighting a losing privacy battle. Dedicated Googlers with a Google Buzz account, a Nexus One phone, and a netbook have given Google sufficient digital inroads to identify the users’ identities, what they had for lunch, and their weekend plans. The problem is that it’s not always the intentional privacy breach that affects people, it’s the unintentional ones–as Google’s track record reveals. And sometimes what Google might share about you is out of Google’s control. Google says it received 10,000 requests for user data from government agencies in the six months ending December 31, 2009. You Can’t Quit Facebook, But Can You Ditch Google? By comparison with Facebook’s 400 million users, Google has 178 million Gmail users, according to ComScore. That doesn’t include the millions more that use Google’s everyday services such as Google Maps or Google Search. Unlike Facebook, which was recently blasted over sharing scraps of personal data with advertisers, Google is an advertising powerhouse. It owns DoubleClick, one of the biggest online advertisers. I believe Google is protecting my identity when it says it uses nonpersonally identifiable information when targeting ads to me and never tries to identify me by name. I commend Google for offering an easy-to-understand Privacy Dashboard, allowing us to easily view all our privacy settings related to Google. It’s also refreshing to know Google “anonymizes” its server logs, deleting cookies and users’ IP addresses every 18 months. But in the end, if Google has amassed a digital library of all the things I do online that touch Google, they might as well have my name. PCWorld contributor Daniel Ionescu helped with the report.